Hear Tom Morello and Gary Clark Jr. 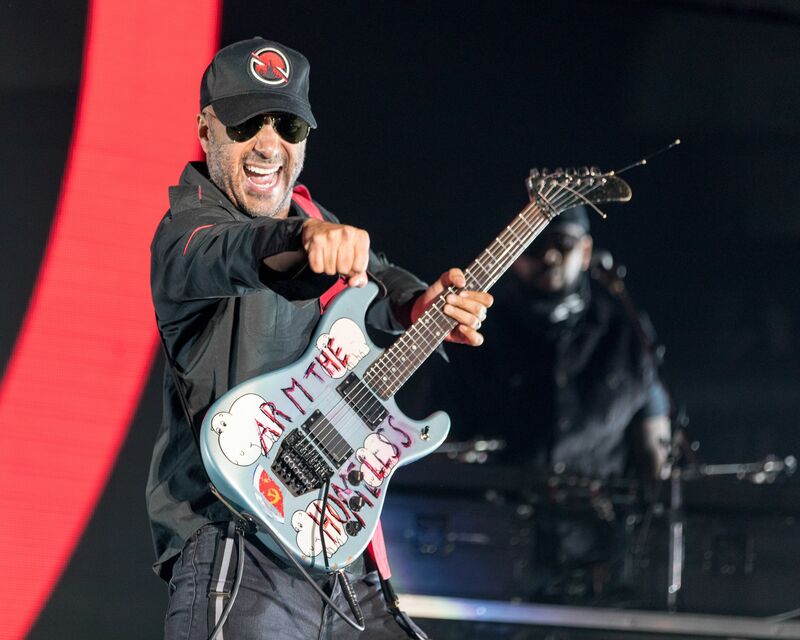 Team up For "Can’t Stop the Bleeding"
Rage Against the Machine’s guitarist Tom Morello recently treated us with his new song “Can’t Stop the Bleeding” on which he teamed up with American musician Gary Clark Jr. The track, which is Morello’s first new music since his 2018’s debut album The Atlas Underground, also features EDM producer Gramatik. You can hear the song and check out its music video below. Tom Morello released The Atlas Underground in October 2018 and met with positive reviews from the critics and reached No. 122 at US Billboard 200 charts. The album featured numerous guests and collaborators including Knife Party, Bassnectar, Big Boi, Killer Mike, Portugal. The Man, Whethan, Vic Mensa, and many others. Morello will soon embark on a tour in support of the record which will include 14 North American dates in May. He will also play live shows in the UK and Europe this summer.